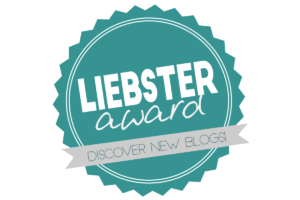 We are excited to share with you that our blog, Hope for Katherine Belle, has been nominated for the Liebster Award, an award created to give recognition to new bloggers. We would like to thank Modified Mamas for your support and for nominating us for this fantastic award. Here’s how the process works: Bloggers are nominated by their peers. Once they are nominated, they look for blogs that speak to them and have less than 200 readers per month, and then they nominate those bloggers – paying it forward. Upon nomination, The Liebster Award Nominees are asked to answer 10 questions. A: When we received the soul-crushing news that our then two-year old daughter, Katherine Belle, had a progressive, neurodegenerative disease in 2013, we were utterly devastated. We needed an outlet to express what we were feeling, but also on a practical level, we needed a way to give community updates to friends and family at once so we didn’t have to keep repeating very complicated, painful information. Q: What is the number one way you market your blog? A: Over time, our blog has become more than just a place for community updates, although that is still very much an important component. As we’ve moved through our rare disease journey, this blog provides a way to get our story out into the world to help us find other patients like our daughter, which is especially important now that we founded a non-profit to research her mitochondrial disease and grow the patient population. The number one way we market our blog is through a companion Facebook page, Hope for Katherine Belle. Q: Where do you see your blog in 5 years? Each day I share my photographs with friends and family and tell them a story that does not always require words, and that sometimes cannot be expressed with them. It is a story of faith, hope, love, and determination. As we continue ahead on our journey toward a diagnosis, I see a brave and thriving girl who is progressing, not regressing. I see a happy and joyful child who meets every obstacle or challenge with the biggest smile and the most positive attitude. I see a future with many more photographs of accomplishments, milestones, and laughter. In all of my pictures, I see faith, hope and love. Above all, I see an abundance of love. Three years later and we still feel the same way. Where do we see this blog in five years? Ideally, in five years (even sooner) we hope we’re sharing groundbreaking research about cures/treatments for mitochondrial disease, along with photos of a happy and thriving 11-year-old Katherine Belle. We hope that people will understand that when we received devastating news in 2013 that we didn’t just sit down and hope for the best; instead, we stood up and looked mitochondrial disease squarely in the eyes and fought with everything we had – we pushed for a diagnosis, treatments, and cures, and advocated for our child every single day. Our greatest hope is that five years from now our hopes and hard work to fund treatments and cures will be a reality, not just for our own child, but for all those affected by mitochondrial disease. Q: What do you do in your downtime/do you have a hobby other than blogging? A: In our downtime we run a non-profit, the NUBPL Foundation, to raise awareness and fund research to cure mitochondrial disease. We try our best to carve out time for self-care (so very important! ), which usually involves reading, biking, gardening, and home projects. Q: What one piece of advice would you give other new bloggers? A: Keep writing and searching for your authentic voice and purpose. Q: Do you have a phrase (or code) you live by? Q: What is the last thing you do at night before you close your eyes? A: Kiss one another and say goodnight. Now it’s our turn to nominate some fellow bloggers. Nominate 5 blogs with followers less than 200 that you believe deserve to receive the award. If you feel others deserve the award, then you are welcome to nominate more. Can you tell readers about yourself and your blog? Something surprising you’ve learned from starting your own blog? Do you have periods when you want to abandon your blog, and if so, what brings you back? Do you have a blogging mentor? What was your proudest achievement (life in general)? How do you relieve stress and unwind? We are inspired by each of you and look forward to your responses! In 2015, our (now) 5-year old daughter, Katherine Belle, was diagnosed with an extremely rare Mitochondrial Complex 1 disease caused by mutations in the NUBPL gene. The harsh reality is we have a vibrant and amazing five-year old daughter who fights daily with everything she has, but because NUBPL is a recently discovered disease without any available treatments, we do not know what the future holds in terms of her health and disease progression. As tireless advocates for our daughter, we decided to do more. We founded the NUBPL Foundation to fund research for NUBPL, which causes progressive atrophy in our daughter’s cerebellum, as well as speech and developmental delays. Katherine is just one of 11 patients in the WORLD identified in scientific research, although we believe the number of confirmed NUBPL patients is likely closer to between 25 to 50. All patients have been diagnosed through Whole Exome Sequencing (WES), and we have no doubt that the NUBPL patient population will continue to increase as more families use WES to diagnosis their children. We have been very public about our story so that we can help clinicians and families better diagnose NUBPL in the future. Because orphan diseases are rare, they lack support groups and national organizations. And, 95% of rare diseases do not have any FDA approved treatments, including NUBPL. Orphan diseases don’t attract as many research dollars because few people are affected, and for pharmaceutical companies, there’s less incentive to fund the research for a treatment that will not produce a good return on their investment. Our daughter and other affected children deserve better. We have carefully listened to proposals from top researchers from around the country and have decided to fund the promising research of Dr. Marni Falk at the University of Pennsylvania. The Mitochondrial-Genetic Disease Clinic at Children’s Hospital of Philadelphia (CHOP) is one of the top research centers in the nation for Mitochondrial related diseases. This research gives us hope that therapies will soon be developed to help treat the mitochondrial dysfunction of Katherine and other NUBPL patients. 100% of your tax-deductible donation will directly fund the research of Dr. Marni Falk and her team at CHOP to research the NUBPL gene and to develop life-enhancing treatments for the mitochondrial dysfunction of Katherine and other NUBPL patients. Our matching gift pool from our Double The Hope partners will match every donation – DOLLAR FOR DOLLAR – we receive from you on April 18, 2017, to ensure we reach our $25,000 goal. In honor of Mitochondrial Disease Awareness week, we would like to help you better understand Mitochondrial Disease, especially as it relates to our daughter. There are families that do not like to discuss their child’s disorder, and although we can respect that decision and honor their wishes, we have a very different perspective when it comes to our own daughter. For starters, we cannot hide the fact that Katherine cannot walk, has a mild tremor, and an irregular speech pattern. Knowing our child is a wonderful opportunity to learn about rare diseases as you get to know her personally, and since she is unable to fully articulate the ins and outs of her disorder, we are her voice. No, we do not think her disorder defines her, but it is as much a part of her as anything else. Second, we are not embarrassed by her disorder and do not want her to feel that it should only be discussed behind closed doors. Third, knowledge is powerful. 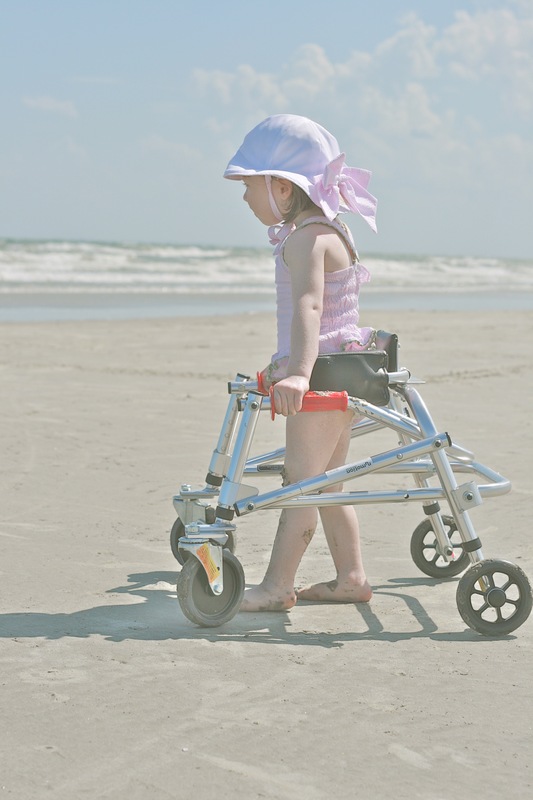 We don’t want people to guess why our child cannot walk – we want to educate you with the facts so you can help spread awareness just by being informed. This is the way we understand or think about our daughter’s condition: Katherine has a very rare genetic disorder known as Mitochondrial Complex I (or 1) Deficiency caused by mutations in her NUBPL gene. There are dozens of types of “Mitochondrial Complex I Deficiencies” but her particular type is very rare. To date, only 6 people have been diagnosed with it in the United States and approximately 25 in the world. That said, it has only been known about since 2010, and can only be diagnosed through Whole Exome Sequencing – a complex and often expensive genetic test. We expect many more to be diagnosed with it in the future. One of the patients (residing in the U.S.) has identical mutations to Katherine. We know a little about her through research papers. Because there are so many types of Mitochondrial Complex I disorders and each is different, we sometimes refer to Katherine’s type as “NUBPL,” the name of the gene affected. So what is NUBPL/Mitochondrial Complex I Deficiency? When people think of “mitochondria,” many think of DNA from just the mother. This is true only with respect to some of the DNA making up the mitochondria. In fact, they are put together mostly from gene pairs with one gene from each parent (nuclear DNA), plus just a handful involving just one gene coming from the mom (mitochondrial DNA). All of our cells (except red blood cells) contain mitochondria. The mitochondria produce the energy our cells need to function, to replicate, and to repair themselves. They are the “powerhouses” of the cell. This “power” is produced through a series of chemical reactions taking place in 5 different physical structures. These are called complexes I through V (or 1 through 5). They work together like an assembly line. If a problem exists in one “complex,” it can harm production down the line in another, ultimately resulting in too little “energy” being produced. Thus, a good analogy is a power plant with five buildings, each producing products that are sent down the line, ultimately producing energy from the final building, Complex V, while also producing polluted water that is filtered and cleaned by another facility before being released into a stream. A person with a mitochondrial disease has a problem in at least one building of the five. As a result, she may not produce enough product to be passed along and ultimately turned into energy to meet the needs of the cell (not enough energy is coming out of Complex V) or may be spitting out too much pollutant to be filtered and the water in the stream is getting polluted. Either of these can result in premature cell death or impaired function. The nature of these diseases is that they often cause damage over time — again, like pollution from a factory. Similarly, illness can increase energy needs of the body, and cells can become damaged because of their inability to meet the needs in times of higher demand. Both of these things occurs in all of us as we age (mitochondrial dysfunction is a significant contributor to the symptoms of old age, including wrinkles, loss of muscle, loss of brain function, clumsiness, and heart disease). Patients with a primary mitochondrial disease just suffer this fate differently, earlier, and in different parts of their bodies. Note, however, that this is not the “premature aging” disease. Regardless, by their very nature, these diseases often progress. The extent to which Katherine’s particular condition, NUBPL, is progressive is not yet known. In most cases, it progresses to a degree – it has with Katherine. Fortunately, many of the patients have long periods without any advancement of the disease and many are thought to have become stable. The reasons are not clear, nor has the disease been known about long enough to determine if this is typical. The patient with Katherine’s identical mutations is now 13. Our information is now 5 years out of date (it was in a 2010 research paper). As of 2010, she could walk with a walker and had normal intelligence. She had not had much regression after an initial period of regression experienced when she was a toddler. Different cell types have different energy needs. Skin cells, for example, need little energy, so contain few mitochondria. Heart, kidney, liver, and brain cells, on the other hand, have high energy needs, so contain the most mitochondria. Liver cells, for example, may contain as many as 2,000 mitochondria per cell. As a result, these parts of the body are susceptible to “mitochondrial diseases,” either because the energy needs are not being met, or in meeting them too much “pollution” is being produced. Some of these diseases affect only one of these parts of the body, while others may affect multiple systems. Katherine’s disorder is a problem in “Complex I,” thus the name “Mitochondrial Complex I Deficiency.” This is the largest of the five complexes, the one involving the most genes for its assembly and function. It is the most common place for these diseases to arise. Knowing that Katherine has a disorder in Complex I tells you very little. Returning to the power plant analogy, it is like telling you there is some sort of problem in “building one” of a five building complex, but not knowing what that problem is; it could be something small, like a clogged toilet, or it could be something large, like the complete collapse of the building. The devil is in the details. Some Complex I deficiencies are quickly fatal. Others are far more benign. Indeed, it is likely that many are so benign that a person can live a long healthy life without knowing they have a disorder. Still others may suffer problems only late in life, such as developing Parkinson’s or heart disease. Thus, Mitochondrial Complex I Disorders can range from quickly fatal to unnoticed and insignificant. No known patient has died from the disease and only one has died at all (from what is not clear, nor is it entirely clear that NUBPL was the only condition he had, as he was the first NUBPL patient and died before current testing methods were developed). In Katherine’s case, the gene affected, NUBPL, is “nuclear,” meaning she inherited one gene from each of us. In order to manifest as a disease, Katherine had to receive one mutated gene from both of us – one mutated gene and one normal one will not result in disease, but only “carrier” status (Glenda and I are both carriers, each having one mutated gene, but not two). Having a single mutation of this gene is rare. Having parents who each have one mutation of the gene, rarer still. Having both pass one mutated gene to the child is extremely rare (there is only a 25% chance that two carriers will have a child with two mutations) – lottery-level odds (more people win the Powerball each year than are known to have NUBPL, worldwide). The NUBPL gene is known as an “assembly gene.” This means that it is not part of the physical design or structure of Complex I, but is a gene that contributes to its assembly. In particular, it is involved in the assembly of “iron-sulfur clusters” that transfer electrons during the chemical reactions in Complex I. Think of it as Katherine having an accurate blueprint for “building one” of her power plant, but someone used defective wiring or put the wiring in it the wrong way. What this means is not fully understood. One possible result of this is that the electrons that are supposed to be carried by this “wiring” may leak out and be transferred to chemicals other than those intended, producing the toxins referred to above (known as “Reactive Oxygen Species” or “ROS”). While it would seem like this defect would affect the mitochondria throughout the body (and NUBPL patients must monitor all systems to make sure problems do not crop up), to date, NUBPL mutations seem concentrated in the brain of patients. While some NUBPL patients have issues throughout the brain, most are concentrated in the cerebellum. Katherine is fortunate in that her brain appears to be spared except for the cerebellum and one very small inflammation in her corpus callosum that has not changed and may well resolve or never affect her in any way. As far as energy production, Katherine’s Complex I residual function appears to be low normal in fibroblasts grown from her skin cells. No brain cells have been tested due to dangers from brain surgery. This is where it is likely to be most affected, so low normal residual function does not tell us much about her brain issues. She does not appear to lack energy, in general (a common issue in “mito kids”) – and exercise is likely good for her. The cerebellum is not the part of the brain primarily involved in “higher” brain functions, nor is it involved in the autonomic functions (like breathing and heartbeat). That said, there are connections between the cerebellum and cognition in many cases (the role of the cerebellum in cognition is not fully understood). Some NUBPL patients have lower than normal cognitive abilities, while others (including the person with the same mutations as Katherine) have little to no cognitive impairment at all. This may depend on whether other areas of the brain are affected and to what extent, or it may be happenstance of what part of the cerebellum is or may come to be affected. We just don’t know. We do know that the cerebellum helps regulate and direct the signals coming into and out of your brain. For example, the cerebellum does not initiate the signal from your brain telling your legs to move. However, that signal passes through the cerebellum before it is sent to the legs, and the cerebellum helps direct it and tell it how much pressure, strength and speed to use. The leg then sends the signal back the brain to tell it what has happened. That signal also passes through the cerebellum before being sent to the part of the brain in control of the leg. With a damaged/abnormal cerebellum, those signals can get mixed up, amplified, muted, or misdirected. This results in clumsiness, difficulty controlling the force or pressure of one’s muscles, difficulty writing, poor articulation of speech, poor motor planning, and a lack of coordination when walking, clapping, playing patty-cake, etc. Because these signals travel through the cerebellum thousands of times per second from all parts of our bodies, significant problems can occur. As an example, the simple (to most of us) act of standing, alone, requires thousands of these signals to pass through the cerebellum each second; nerves of the ankles, feet, knees, thighs, torso, arms, neck, and head signal the brain about what they are doing, the inner ear tells it up from down, the eyes tell it what is going on around us, etc. These signals pass through the cerebellum, are regulated, and passed on to the higher brain for interpretation. That higher brain then decides what to do, and signals back how the body needs to adjust given all the signals coming in from all of these body parts. Maintaining balance while standing is a coordinated and complex function—one that modern computers could not hope to replicate – that we take for granted and do not even think about. That is not the case for Katherine. Katherine’s entire “balance center” of her cerebellum is the most affected, making balance a daunting task, requiring a great deal of concentration. It is like a normal person trying to walk a tight-rope in windy conditions. Add to that trying to coordinate all of these body parts to walk, and the task is beyond her current abilities. The brain is remarkably adaptable, however. People suffering from significant brain injuries can re-learn to walk, talk, and function. Repetition and rehabilitation allow the brain to make new pathways and connections to do what it once did elsewhere. Sensory input is hard for Katherine to process. She can be overwhelmed by chaotic environments, as her brain is not telling her what is going on in the same way as the rest of us. She processes things more slowly. This probably is not so much of a function of her higher intelligence, as her body’s way of communicating between her senses and her higher brain. You can expect Katherine to be off balance. She will have trouble with writing. She may become overwhelmed or confused by sensory input. She will have trouble articulating her words. She will have difficulty controlling the volume and pitch of her speech. She will be clumsy and uncoordinated. She does not yet have a good grasp of the body’s “potty” warning signals — she is better at telling you she has gone, than telling you she is about to go. All of these things can frustrate her, cause her to withdraw from others at times, or become anxious. That said, she has a very good vocabulary and understanding of things. Children with Mitochondrial disease have some difficulty controlling their body temperature, can become fatigued, need to stay hydrated, and can suffer more when ill than other children. So far, these do not appear to be problems with NUBPL patients, other than some worries when they become ill. However, there are things to be aware of in case they occur. Katherine is currently on an experimental medication called EPI-743 (or is on a placebo. 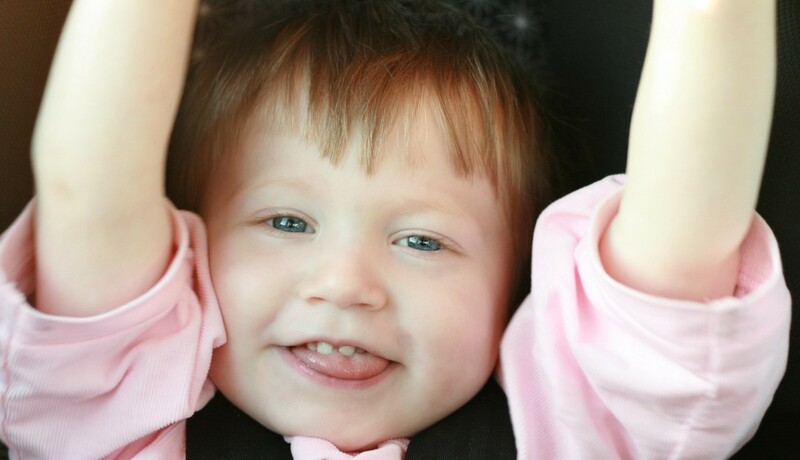 She will receive 6 months of both over a 14 month double-blind clinical trial). It is part of a clinical trial run by the National Institutes of Health. This is essentially a very potent anti-oxidant, thousands of times more powerful at the cellular level than any anti-oxidant you can get in food or supplements. While administration and action of the medication in the body is a far more complicated thing, in a laboratory setting fibroblasts grown from her cells demonstrated susceptibility to oxidative stress (discussed above) and an 80% or higher return to viability from administration of the medication. We hope that predicts that the EPI-743 will clean up the toxins she may be producing and will help her cells produce energy, and arrest any progression of the disease. It could do more. While it cannot revive dead cells, it may save those that were damaged and dying, and allow them to function better, improving her condition (along with physical and occupational therapy), not just arresting its decline. She also is on a compounded medication commonly called a “mitochondrial cocktail” that does many of the same things in different ways, as well as supplement one of the chemical products of Complex I, being a substance called Ubiquinol, a form of CoQ10. We want to stress that we think it is important for other children and their families to understand Katherine. This provides insight into the rare disease community in general, mitochondrial disease patients, in particular, and Katherine, individually. It will help them get to know Katherine (and others like her) and explain why she cannot walk or do other things they take for granted. There are families that do not like to discuss their child’s disorder, and although we can respect that decision and honor their wishes, we have a very different perspective when it comes to our own daughter.